This video, courtesy of Once Lost Ministries, is based on a previous post entitled “Christ Esteem or Esteeming Christ“. Lovers of Self- A Sign of the End: We live in an era that is literally saturated with pop-psychological jargon. From the news stands to the TV to America’s school curricula, Freudian, Jungian, Adlerian, etc. philosophies have inundated the human perspective at every turn. Although men have always been lovers of self, there has never been a time in history where the solution for all men’s ills has been so falsely sold as simply having high self-esteem. The Holy Spirit’s warning here isn’t for the world, but for the church and one of the men who has arguably most infected the body of Christ with the false doctrine of self-esteem is Dr. James Dobson. Dobson has authored or coauthored 36 books and sold hundreds of millions of copies worldwide. The Focus on the Family radio broadcast reportedly reaches 200 millions listeners in 164 countries each day. His grandfatherly demeanor perhaps gives the impression that his advice can only bring healing, but sadly the seeds of deceit planted by his worldly philosophies will continue producing unrighteous fruit until the Lord returns with His saints. There are several excellent resources (posted below) on the subject of James Dobson and the problems with self-esteem. The purpose of this post, however, is to expose a layer beneath this, examining a repackaged version of self-esteem that may be less easily detected. Two Techniques: In every industry there are those talented enough to sell. Whether it’s an idea or product, to get ahead in the business world, it is important that one understands the nature of sales. For some this comes quite naturally and for others it takes study and practice. Two basic techniques of selling might be called “Problem/Solution” and “Repackaging”. The first is what Dr. Dobson is famous for. He presents the problem as being low self-esteem. He does this by telling many stories, the kind that tug on your heart strings and before you know it your feelings end up trumping your intellect. You begin developing an emotional connection with the misinformation. Given enough time, the listener also develops an atrophied ability to reason. Then, after you are so emotionally invested, Dr. Dobson triumphantly declares the sole solution being a healthy self-esteem. Although this technique is worth an in depth examination, the second sales technique will be the focus for the remainder of this post. “Repackaging” has been around since almost the beginning of time. Satan repackaged the fruit of knowledge of good and evil as a product that would bring wisdom, not death. After all, wisdom is a good, godly thing, right? Yes, if it’s from the Creator. Creation, however,can never bring men true, everlasting, and godly wisdom! “Repackaging” can also be thought of as the Trojan Horse approach. The whole purpose to this technique, of course, is to make whatever you’re selling seem more appealing to the person you’re selling it to. 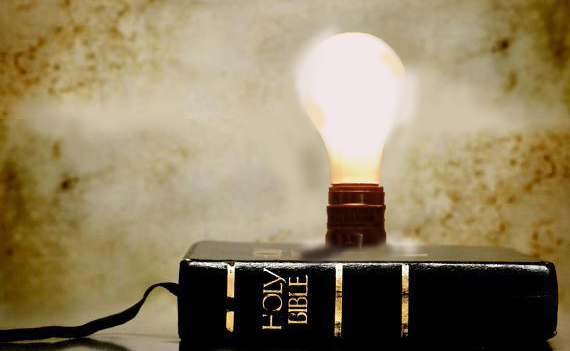 Too many of today’s professing Bible teachers have continued offering millions of followers this destructive fruit as the ultimate form of wisdom, carefully keeping their teachings hidden in biblical jargon. They talk of Jesus and godliness, yet carefully woven into their messages is the idea that Christ has come to heal us of all our negative self-concepts, that Christ has come to bring about a “healthy” self-esteem within us. They say, “Let’s focus on Jesus”, but too often Jesus is not their ultimate goal. What many of them really mean to say is, “Let’s focus on Jesus so we can finally feel good about ourselves.” To illustrate this better, consider this brief illustration. A boy goes to school sad because he’s picked on every day and never first in line. He’s never chosen first to be on anyone’s team at recess and at lunch he has trouble finding a place to sit. He comes home every day feeling bad because he just isn’t popular at school. Then one day the boy discovers a beautiful rock as he explores his backyard, a rock like no other. It’s full of colors. Parts are shiny while other sections are clear. When held up to the light the rock shimmers and glistens, sending the sun’s rays bouncing in every direction. He decides to bring it to school for show and tell and immediately everyone wants to see the rock. Suddenly the boy is the most popular kid in school. Everyone wants to be his friend. Then one day he loses the rock. He looks everywhere, but can’t find it. He reluctantly goes to school, but once the other kids find out he no longer has the rock, the boy goes back to being ordinary and quickly loses his popularity. His sadness comes knocking and he’s quick to let it in. A few weeks later, the boy begins digging, but this time not in the dirt, but in his Bible. He finds another Rock, but this time it is Christ. He finds the Savior and calls out to Jesus, asking Him to forgive his selfishness, to forgive his sinfulness against the Creator. The boy gladly receives God’s full and free pardon and adoption into God’s family. As the boy begins searching and studying the Word, he quickly realizes that his selfish pursuits were simply that, selfish. He finds Galatians 2:20, Luke 9:23, and Luke 14:26 and soon begins to understand that life is not about feeling good about himself, but simply turning from self to God, serving Jesus, not the flesh. In this little story, the boy first used a rock to make him feel good about himself. Then he found the true Rock, Jesus Christ, who taught him that Jesus isn’t here to make him feel good about himself, rather to free him from self so that he could finally begin learning about the God who is eternally good. This story sums up what much of Christianity has become. Jesus dying on the cross doesn’t prove my worth, rather the price of my sin. Yes, He paid it all, but it’s not like Jesus went to Jostens Jewelry to buy a diamond ring. It’s more suitable and biblical to say He went to the judge to pay off in full mankind’s penalty, a fine that was infinite in cost. Such a high-priced penalty doesn’t denote value, but the extent and severity of my crime. His death reveals the extent of my sinfulness and the depth of His love. Jesus didn’t die for creatures that were worth something, but for creatures that were so not worth it! I don’t deserve His forgiveness, nor does God somehow see a diamond in the rough, some glimmer of hope. I am hopeless and rebellious to the core. God’s love is not based on me, rather solely upon His own infinite character! After all God is love. In other words, it is the love God is that motivates His actions, not my loveliness! Christ-Esteem: In recent years, the phrase “Christ-esteem” has begun circulating the pulpit as a way of replacing self-esteem. And while I agree that our focus must be on Christ, it seems to this believer that the phrase “Christ-Esteem” still lends a bit of credibility to today’s psychologized Christianity, saying we must focus on Christ in hopes of realizing how lovely we really are. Loved, yes! Lovely, no! Paul said it this way, “For I know that in me (that is, in my flesh,) dwells no good thing…” Romans 7:18. The only good in me is Christ! He is my hope of glory. Being that we’re in such a psychologically defined society, it’s every believer’s responsibility to be extra cautious in the language chosen when teaching the truth of Jesus Christ and His Gospel. Esteeming Christ: Instead of saying I have Christ-esteem, I’d rather declare that I esteem Christ. Webster’s online dictionary defines Esteem as “to set a high value on : regard highly and prize accordingly.” Jesus is not simply in my life. He is my Life! Jesus does not simply enter my heart and mind to make me a better man. He comes to transform and renew me into His image, living His Life in me and through me. John the baptist said it best, “[Jesus] must increase, but I must decrease.” John 3:30. He should be my all in all! Clearly, my highest aim is not to esteem self, but to esteem Christ and Christ alone. My pursuit to do so should be pure and careful. It should be thoughtful and bold. Our love for Christ should go beyond all men’s opinions and teaching, no matter how popular and kind the man may be. God is not a respecter of persons, nor should His children. Using the phrase “Christ-esteem” might be a little thing, but again, due to the psychologically redefined language flooding our world today, I choose to speak clearly and carefully, not desiring to confuse the Gospel to its hearers. Reflecting the heart of every sinner, Isaiah wrote, “He is despised and rejected by men, A Man of sorrows and acquainted with grief. And we hid, as it were, our faces from Him; He was despised, and we did not esteem Him.” Isaiah 53:3. As an enemy of God, I esteemed Him not. As a blood-bought sinner, I can truly and whole heartily declare my sole desire is to esteem Jesus Christ above all! For the You Tube video discussing this article, go to: “Christ Esteem or Esteeming Christ”.